Do you listen to Marketing podcasts? If you are a business owner you should definitely should be. There are currently over 500,000 active podcast and the number of podcasters continues to rise. What’s also rising is the amount of people adding podcast to their personal playlist. With so much content out there its hard to determine where you should be spending your time. If your time is limited like mine, you might want to consider listening to business podcast to help keep your informed and inspired while building your business. I love podcast because I can listen to experts in various areas share their expertise on demand. Some of the best minds in Marketing like Neil Patel and Seth Godin have podcast they update regularly. With so many Marketing podcast currently in my rotation that have greatly helped me up my Marketing game, I thought it only right that I create a round-up of some of my favorites. Marketing School - Hosted by world-class marketers and serial entrepreneurs Neil Patel and Eric Siu. This podcast is updated daily and is usually less than 7 mins long. Marketing School has given me so much confirmation as a marketing consultant along with new strategies and tactics that I can implement fairly easily. This is a must-listen podcast for me. Social Media Examiner - Not only does SME cover all things social media, their annual marketing conference truly showcases what a trade show production done with integrity and class can look like! Social Media Examiner covers all the latest developments on social media platforms, along with sharing valuable ways anyone can create content that resonates with their audience and aligns with their brand. Savage Media - You know I can’t leave my podcast off. Savage Media is a marketing podcast for the solopreneur. Most small businesses have one person wearing many hats and marketing is a major one that can’t be ignored. I focus on sharing long-term strategies with quick wins along the way. Savage Media teaches you how to be productive when planning social strategy; how leverage your personal brand to bring in more business and why analyzing your data can help you fall in LOVE with your marketing efforts. The Daily Boost - If you’re ready to live a better life, so you can show up better in your business then start your mornings here. The Daily Boost gives inspiration with tactics on how to achieve a better lifestyle. This is the perfect podcast to listen to when your having your coffee. The Art of Paid Traffic - Ready to SCALE your business? The Art of Paid Traffic does an excellent job of breaking down the Science behind paid marketing with strategies that have be tried and tested including how to write better ad copy to improve sales and more. The Business Building RockStar Show - Host Nicole Holland interviews seasoned entrepreneurs about what it REALLY takes to build a profitable business. If you feel like its time to take your side-hustle or idea from hobby to career listen to this podcast. This is no fluff brand building from experts from around the world. From how to build a marketing team, to becoming a better storyteller, this podcast is a marketers dream. 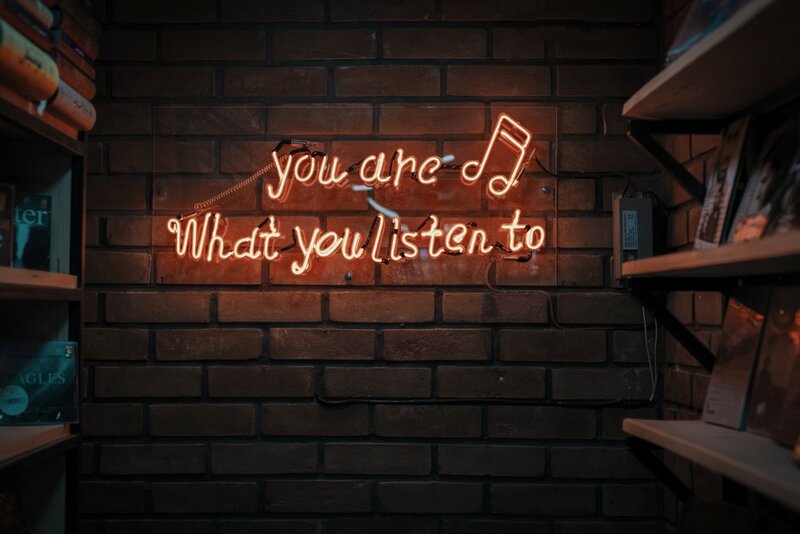 While there are many, many other marketing podcast like Buffer, Social Pros Podcast, etc that I listen to, these listed above are played weekly, if not daily. Each podcast is full of information that expands beyond Marketing and covers how to improve your business and brand overall by being intentional about marketing. Helping people understand the processes and procedures that should be in place before embarking on a marketing campaign is crucial for success. In addition, knowing who your target market is and what they’re pain points are will also help you make informed marketing decisions in the long run. Before we go into the new year and you start running off new content pieces and paying for marketing tools, bots, and Facebooks take a listen to these podcast and lay your marketing strategy down empowered for the new year. Need helping understanding how marketing fits into your business, work with me to get brand clarity and to put an implementable marketing strategy in place. Contact me using the form below and tell me what your marketing challenges are!